These statement have one thing in common: They are all wrong! The above three statements all stem from the completely false assumption that if you have money/assets you always have to pay for your care. This is not true. Not only that, it completely misses the whole point of the NHS Continuing Healthcare funding assessment process! It’s NOT a person’s money that determines whether or not they pay for care. This is a vital point to note. It’s a person’s care needs ONLY that dictate whether or not they pay – or whether the NHS pays instead. What’s more, the only way to know whether a person’s care needs meet the criteria for full NHS funding is for an NHS Continuing Healthcare assessment to be done – and done properly. Most of us have been conditioned to think that we have to pay just because we have some money or a house. This is false. 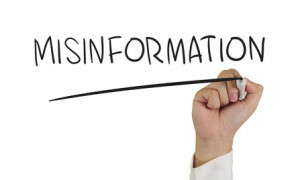 This conditioning often comes from what we read in the press and also from misinformation reported by families as being given to them by some health and social care authorities. This is a very common mistake – and it leads to thousands of people in care paying care fees out of their own pocket when the NHS may actually have a legal duty to pay the whole cost instead – as a result of an NHS Continuing Healthcare assessment. It may be said out of ignorance, or perhaps because the care home manager knows that the NHS will pay the home less that they can charge a self-funder, or maybe because the person saying it wrongly believes a person has to be at the end of their life to get any funding, or perhaps because the person saying it has themselves been misled by the health and social care authorities into believing that people with a house or savings have to pay. No one can say whether a person in care has reached ‘that stage’ until an NHS Continuing Healthcare assessment has been carried out. That’s the whole point of the process: to see whether they do or don’t have to start paying in the first place. This vital information about paying for care often doesn’t get passed on to families. If an NHS Continuing Healthcare assessment shows that a person does need to start paying for their care at this point (based on their care needs, not their money), they can still be reassessed for NHS Continuing Healthcare at a later date, should their care needs increase. We hear this all the time: that the first thing a family is asked when a hospital is trying to discharge their relative into full time care is whether or not the relative has any money. It should be a Continuing Healthcare assessment that establishes who covers the cost of care. As with the previous statement, mistakes deciding who pays for care are often made at this point – with the family none the wiser that this is a clear breach of funding assessment guidelines and a disregard for case law (especially the Coughlan case) when it comes to assessing care needs and deciding who pays. At Care To Be Different we have heard from hundreds of families over the years whose relatives have been misled into paying for care – simply because their relatives had some savings and/or a house. As we’ve seen, this is not what should be considered first. It’s a person’s care needs that should always be considered first – through an assessment for NHS Continuing Healthcare. Read about the stages of the Continuing Healthcare assessment process here. Indeed, under the Care Act 2014 it is a specific requirement for any local authority means testing assessor to confirm that NHS Continuing Healthcare funding has been properly considered at the outset. It is likely, though, that many families will not be told about this. Remember also that you don’t have to be in a nursing home to receive NHS Continuing Healthcare funding; you can be in an ordinary residential care home or even in your own home. If you have a relative needing full time care – or about to need it – read more here about care fees and who should pay. And if you know someone in this situation, please share this vital information about paying for care. Have you been affected by any of the above? The nursing home charges £4,400 per month when dad moved into nursing care. We then find out that that they have applied for NHS Funded Nursing Care (FNC) payments and just keep that for themselves. I later found information from care to be different and page 16 of the department of health public information leaflet that it should be reflected in their charges. Not only that they should have done a Continuing Healthcare assessment first, according to the National Framework for NHS Continuing Healthcare and NHS Funded Nursing Care, before apply for nursing funding. How low can people stoop taking advantage of people who are too sick to fight back and their struggling families trying to fight a corrupt system. Unbelievable. How they can justify £4,400 a month for a start and then steal money that should be taken off and when questioned they just ignore you or say its not their policy. Diane – FNC does not always reduce the level of care fees, as it depends on how the care home contract is written. This will help you: https://caretobedifferent.co.uk/funded-nursing-care-refunds/ However, you’re absolutely right that your dad should have been assessed for NHS Continuing Healthcare first. My mum has dementia. She is 89 and has been in a home for 15 months. This is the fourth home. The first three would not keep her because she escaped all the time. Often many times a day. She is physically quite well but has no cognitive powers at all. If she escaped and was not found I think she would go missing and eventually turn up dead. At the original assessment they said she ticked the boxes to be assessed for a Continuing Healthcare (CHC) package. Now she is in a totally secure home we have now been told she doesn’t tick the boxes. My argument is that it’s because this is a totally secure home. She rattles​ the doors all the time and the garden gates. If she could escape she would. We phoned dozens of homes and they refused to take her because she escapes. The assessment seems very biased towards physical issues rather than mental ones. It was impossible to keep mum at home because she would not stay in and walked for hours. She tried to light both the electric fire and the radiator thermostat with matches and had bonfires in the garage. She personal hygiene is non existent and she is prone to double incontinence. We have asked for a second assessment and have been waiting since last year. I realise you made this post 12 months ago so you may be at a different stage now but you are right. Your mum would still qualify. Her needs are the same even though they are managed better because she is in an appropriate setting. A managed need is still a need. I have read all these comments and responses with great interest and have learned so much. My mother has had Alzheimers type dementia for nine years. To begin with I cared for her, but working full time and caring for mum was not sustainable. We bought in several services to help out. When she started to become aggressive I sought help through the GP and social services. A small care package was organised and meals delivered. Over the years her care needs were reassessed until she had four visits per day. By now she was wandering across a busy road. As she is completely deaf she would not hear traffic approaching which was a huge concern. Even with all the care in place mum still had a precarious existence. The carers and I often arrived to find the house full of smoke where she had forgotten about the pan she had put on the cooker. Her dressing gown was burnt, she threw pills on her gas fire which ended up being disconnected as it was too dangerous. She had all kinds of safety devices fitted and I regularly responded to urgent messages from the call centre. She fed her dinner to her cat and one time I found cat food in her dinner and was unsure who had eaten what! Mum stopped having a daily bath and refused to let the carers help her. She hadn’t bathed or showered for months; being doubly incontinent the house and mum did not smell too good. Mum fainted sometimes, she would have unexplained cuts and bruises on her face and arms and even a broken tooth! She broke her hip about four years ago and spent time in hospital but was sent home after a few weeks. Finally a year ago she was admitted to hospital with a nasty UTI, she became hysterical looking for my dad who had died years earlier. The professionals finally announced she did not have ‘capacity’! after a period of respite care it was agreed that mum should go into self funded permanent residential care. Following an assessment in hospital we were informed that she wasn’t ‘bad enough’ to receive CHC funding even though she exceeded the recommended scores on the front of the document. We have now used all her savings and are about to hand over her house to social services. I want to attempt the CHC process again as she is now registered doubly incontinent, although this has been the case for several years! I have used so much energy to keep my mum safe and happy in her own home. She is now living in a beautiful place where people genuinely care about her. She is warm, clean, well fed and very safe, above all she is happy and |I can visit any time I wish. I do feel we did well to keep her at home for nine years, but now I am trying to hold onto her remaining asset. She cannot live at home as she is a danger to herself and others. She is deaf, incontinent and has extremely short term memory. Is it worth trying to go through the CHC process again and would she be successful this time? I have just had an independent assessment for dad and it was obvious he has a lot of needs but they are being well managed, e.g. he is immobile bedbound and has a special mattress and is checked throughout the day and night, having cream applied to avoid breakdown of skin. When I said the needs are still there, the assessor told me all this was taken into account in the descriptors. Is it me? Thank you for all your info Angela its so valuable. Could i ask you one last thing. I think my Mum should score 2 As and a B on the checklist but I was told by a legal person that if the assessor disagrees you can’t appeal the checklist? Only the full assessment? Genevieve, I believe that you can ask for the full CHC assessment to go ahead regardless; even if the Checklist is used to decide that there are no needs for funding. Yes, you can appeal the Checklist – and, as Chris says, you can ask for a full multidisciplinary team assessment on that basis. This is mentioned in the National Framework. My Mum has had Dementia for 5 years and has been in an expensive Care Home for the last year. The 6 NHS homes I looked at I would not put my dog in. The local Authority is paying the fees for now and wants me to sign a contract with them to put a charge on her property. I have not signed it and then came across your website. I live in hope. Now I am going to stall the process in order to get her assessed. My Mum also has ECT in the 1950’s which is supposed to be linked with early onset Dementia. Her is very specific as she has absolutely no short term memory. I thought CHC was just for someone who has health issues and that Dementia is Mental Health so does not count? Your advice would be fantastic. Today we completed the DST for my mam. At the end of the meeting we found out that we would not eligible for Continuing Care funding. We were then told that we would be responsible for mam’s funding for her placement in the care home from today (it has been paid for by the local authority whilst waiting for the DST meeting). We accept that we will be responsible for this funding but I just wish to confirm that this should start even before the decision from the CCG. Everything is stacked against relatives in this process. Everything I read from the Care to be Different booklet was apparent in the meeting so it was hugely helpful to at least have this support through what has been a truly awful time. I feel frustrated and angry about the whole process. I’m glad the book was useful – thanks for your feedback on that, Kath. I imagine it feels very frustrating not to have received a recommendation of eligibility for CHC. The key word here is ‘recommendation’ – because the assessors at the meeting do not have the authority to make the actual decision; they can only make a recommendation – and that recommendation then goes to the CCG for a final decision. So you’re correct that no payments should be requested until that decision is made, in writing, by the CCG. This is backed up by the National Framework guidelines. Thanks for that advice I will be wary of those issues. Just about to go down the Full Time issue with my mother. She was diagnosed with Dementia two years ago and has gone down hill rapidly. She has to have carers in three times a day otherwise she ‘forgets’ to eat and her cognitive senses are virtually non existant. She has been paying for carers for sometime through social services, but having read your book I am now preparing myself for battle and setting up an NHS Continuiung Care review. Another issue for us is that I live in Australia and my brother in Germany, my father having died 9yrs ago. I am going to the UK shortly to start the ball rolling and attend her upcoming Memory Clinic Appt. Reading all your comments I cant believe the minefield you have to tip toe through! Wishing you well with the assessment process, Chris. Whilst you are here, It would be wise to contact the council and the NHS personnel involved so that they understand that you will be operating from Aus’ on your loved one’s behalf. Perhaps laying some ground rules (in writing perhaps), for correspondence would be a good start. I say this because both organisations seem to delight in answering e-mails with printed letters. Often registered delivery or signed for etc. That might cause problems in timing or they might just refuse to deal with you because of the fact that you live outside of the UK. At times they also clam up and stop corresponding until you provide them with proof that you are operating on behalf of someone. They claim the Data Protection Act is the reason. Yet ignore that they have already met you face to face and have already corresponded with you when they thought that you would be immediately compliant and sign away your loved one’s rights and money. As soon as any hint of evidence gathering or dissent is detected they will try that trick. So get that sorted from the outset or you might well have to come back to do it. It might seem mercenary but I would look into being reimbursed if I had to travel far to provide care or assistance with admin etc. After all the mercenary council will want reimbursing for care if they decide it is within their remit to provide. Better perhaps to deny them some of that money if the travel need is legitimate. Bearing in mind the cost of travel it might be well worth seeking a financial and or legal opinion if your loved one has that level of resources to expend. In my case I was torn between the NHS Framework approach and the LAW. I needed the two to somehow meet. When I contacted a couple of specialist solicitors, it transpired that they used experienced nurses to act on their behalf, presumably because they thought this this route offered a more realistic chance of success. I went along with it and have since secured funding for my mum. The nurse was a little older and very much on the ball regarding Continuing Healthcare, Clinical Commissioning Groups, Decision Support Tools, etc. Yes, it’s true that mum had moved into a Nursing Home but I wasn’t happy pursuing the matter any further because I simply carried no clout whatsoever. Maybe this is the way forward for others who feel they are being crushed by bureaucracy. I’m so glad you were able to secure the funding, Pete. Yes, using a specialist solicitor can certainly be an option – and it can take the burden off your shoulders. I would always encourage families to still be involved as much as possible, though, as no one really knows your relative as well as you do. Be sure it’s a specialist solicitor who really understands Continuing Healthcare. There are a lot of claims companies out there who vary greatly in their ability to understand the process and argue a case in this respect. A good specialist solicitor can be invaluable. Hi Pete, we did the same thing back in 2012. At the Independent Review (IRP), the specialist nurse provided her opinion of the DST evidence and along with our observations of procedural wrongdoing two assessments were overturned. This time we could not get her to do it again for some reason. But by using what we had learned from her, we got another IRP in 2015 to agree with us. Hi Pete, We are going through the same thing at the moment. Congratulations. Its a long battle with CHC. What was the solicitor you used if you dont mind me asking? Julie – Christine – I imagine many families can relate to your experiences and the frustrations of the ‘system’. Angela, Julie, Christine, You are not going mad. I have seen a care home manager, a local authority (LA) adult care manager and a Continuing Healthcare (CHC) assessor discussing the value of a resident’s property. Even to the point of the care home manager asking the receptionist to look up the values of similar addresses on zoopla. All a bit silly considering that I was standing outside the office with the receptionist and she actually did as she was asked whilst I was watching. I have recently made a request for and Independent Review (IRP) and mentioned the event in the terms of describing that it really does appear to be “one for me and one for you” in apportioning the highest money holding residents direct to the care home who charged more than the NHS paid and very much more than the LA would provide in support. In any case no one except the LA finance department should be discussing finances of care home residents at all. All a care home needs to know is if a resident will self fund or not. Just as an aside. I have asked for a complete cleansing of my mum’s LA accounts and data because they have no need of it. Bearing in mind that once again she has won an IRP appeal. That being the case the LA cannot have processed her personal data fairly or legally or necessarily. All of which are offences. The LAs are too quick to demand financial assessments. That is the case when CHC appeals are outstanding. With that in mind, they do not need the data they collect until a much later date. As far as I can see they are collecting data with some pretense of providing assistance, (‘we need to see if you are getting all of your benefits’ is a good one), and then sending invoices instead. I would just like to echo Julie’s thoughts about care homes enthusiastically helping the CHC refuse, or take away CHC funding, as I also had similar problems. I too was refused access to nursing home records and care plans even with POA. I fought for over 2 years to get CHC for my late mother but was severely hampered by the nursing home staff. At the last assessment she was found eligible by the MDT but this was thrown out by the CCG through lake of evidence and poorly kept records. I am now trying to get access to her GP records under a the access to records act and although I have filled in the appropriate forms, paid the required fee, I still have not received them after 83 days, apparently they need to be signed off by a GP yet it would appear that no one knows who is responsible for doing this. I have also tried to get information from the CCG about how they made the not eligible decision and again, although I have sent them the appropriate forms and the required fee they too are stalling. The request was made over 2 months ago and after several telephone calls they now tell me that they have never received the payment. Somehow the whole system seems to be a complete shambles, they don’t even follow their own rules. We had no social worker we were told Because Mum had own property and money that the social worker budget would not allow them to give any time at all to mum or sister and me as mum was a “self funder ” we only wanted advice. Mum’s care needs were very high and one night she was found wandering the streets at 2am. At this point Mum was not safe to live at home, so with very sad heart Mum went into a Care Home that sister and I found after a great struggle. No support from NHS or Social Services because Mum was a self funder. We paid care home fees for 2 years and kept being told Mum not entitled to NHSCHC. But I knew she was entitled to an assessment. This took 8 months to get. First time care needs did not meet list criteria so appealed assessment. Completed again 1 month later and the 1st assessment was deemed to have been found to have not been completed correctly. Whoever is trying to get funding keep going. It is a very hard struggle on top of all emotions you feeling for loved ones, but you are entitled to an assessment and it being done correctly. I can help anyone if they need help in applying and battling. Well done for persevering, Wendy. Sadly, we often hear from families who have been effectively abandoned by the local authority simply because the person needing care has some savings or a house. In the Continuing Healthcare assessment process a social worker/local authority representative must – legally – be involved, regardless of how much money a person has . Am battling with NHS re: my fathers care needs, he has dementia and mestatic prostrate cancer. Can you kindly advise? The care in the UK is a disgrace. My mother has nearly used up all her life long savings on care home fees. the NHS continuing healthcare declined to help despite having 2 strokes apparently she was not ill enough!.I appealed and they still said no help but would qualify for small funding if she went to a nursing home! She has now had another stroke that has left her totally unable to move and in hospital. The care home have assessed and said they cant help anymore and still taking the full cost to reserve her room or I am forced to give it up with nowhere to go only a state run nursing home which the 2 local ones i have visited are not fit for a dead dog!!. The hospital social worker has not done a new continuing healthcare review as she says she still will not qualify. The funding is only given to people who have expected lifespan of less than 3 months and ‘fortunately’ the doctors do not think she is at this stage yet. My dad is nearly 94 been a full time carer for 4 years. Are we faced with my Dad trying to cope at home again? is there no help at all? I am working all hours God sends me and even through the night to try and earn money to pay my own commitments and to save as the county council pay below half the local care home fees so I am still left with finding £267 a week now and if she goes into a nursing home at £1,000 a week that makes it impossible for me find at £554 a week which I simply do not earn. Why is there so much worry at the ‘winter’ of my mums life which should be precious… can anyone help me.. In July 2016. I attended a second Continuing Health Care review and took with a member of my local Health Watch plus a friend who found the experience less than perfect they said. The point was that there were 6/7 people around the table. I said I wanted to record the meeting with chair in an abrupt manner “NO”. The panel then introduced themselves. Usain Bolt would have lost this race in the meeting, in which it was clear the decision had already been taken. There was a statement from the chair at which point he told the Note taker NOT to record what he had said. Unfortunately we were not quick enough to get what he said. I see avenue now is at this point to consult with Health Watchdog as I believe, as do my colleagues, that the meeting was unfair.